Everything about Mr. 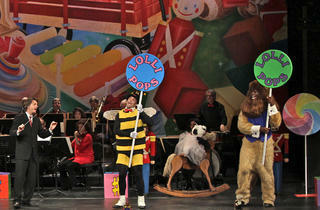 Maestro and his accompanying orchestra is sugar-coated. 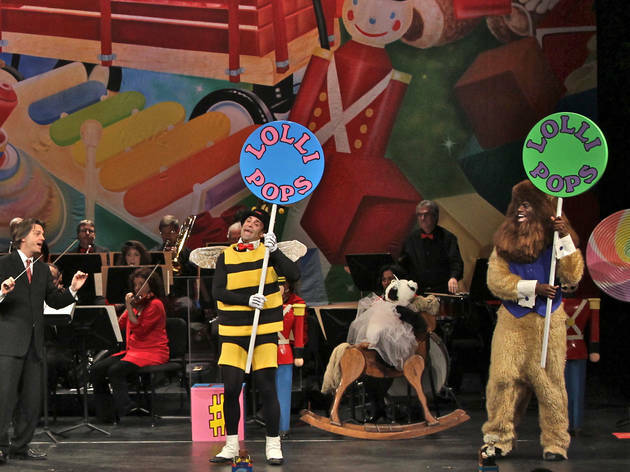 Their show teaches kids all about what makes up an orchestra by "playing" movements like Tchaikovsky's "Dance of the Sugarplum Fairy" and Debussy's "Golliwog's Cakewalk" on candy-shaped instruments while the real orchestra plays offstage. Ages 3 to 5.